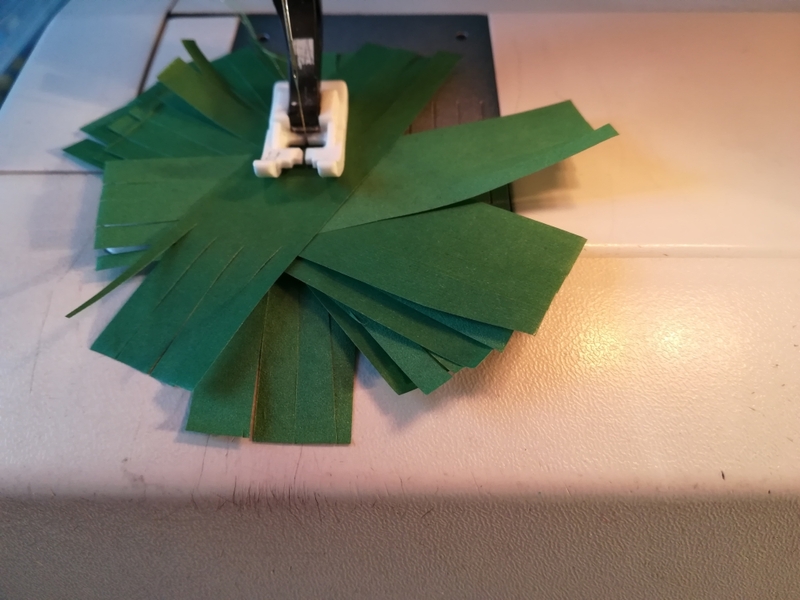 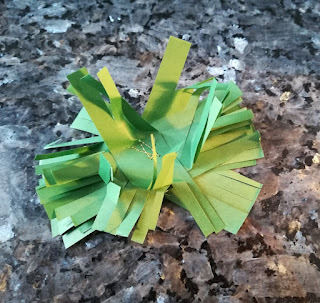 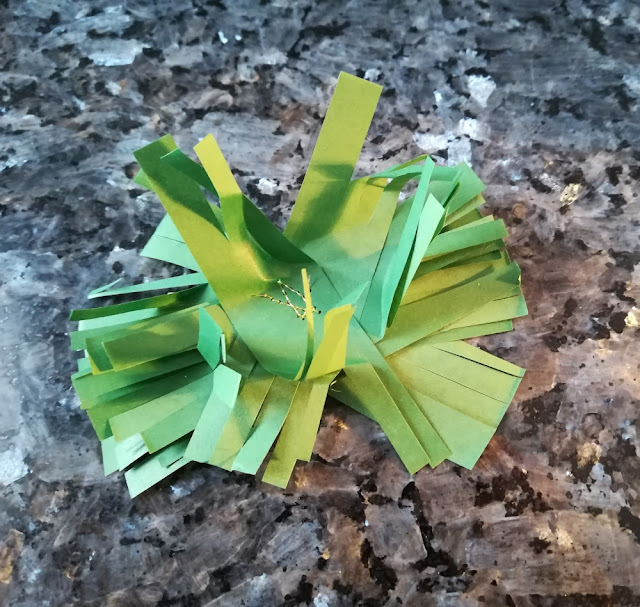 Cut out 8 stripes of tissue paper, cut fringes on both edges. 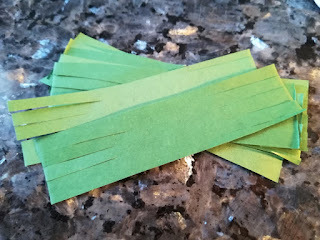 Arrange paper stripes and sew them, use golden thread for your sewing machine --> foto. Make lots, very easy, enjoy it !